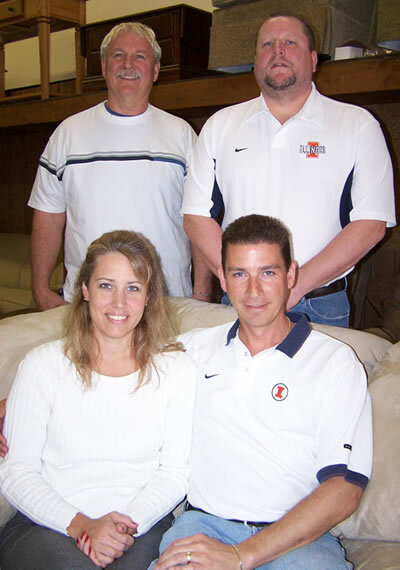 Owners Scott & Marsha Moody (seated), Store Manager Eric Rosenbaum (right), and Sales Professional Larry Boundy (left). 2013 marked our 54th year in business and we fully believe our commitment to good, old-fashioned customer service coupled with our big city selection is the key to The Fashion Shop’s success. 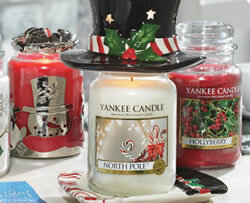 With that said, we’d like to say ‘thank you’ to all of our customers – past, present and future. We couldn’t do it without you! 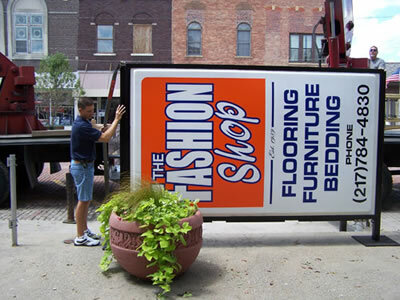 Scott Moody preparing to put up the new Fashion Shop sign.